For those of you who are not familiar with me, I am a spiritual guide, professional intuitive, writer, foodie, and animal lover. I was named after The Saaqi, who is a being revered in the East, from India to Persia. She is known as a muse who pours the wine of inspiration for poets, writers, and those who seek a higher spiritual experience. I am a third generation intuitive, born with a gift which I have honed over the years through meditation, spiritual studies, and doing professional readings. I have also had many mystical and intuitive experiences, some involving angels, some involving the being Saaqi herself, about which I will be writing in my blog. Whether you are here to learn more about the Saaqi, my experiences with her, or to get a reading, I welcome you and look forward to hearing from you! I am a soulmate and twin flame expert. As such, I can help you maneuver the sometimes troubling waters of these types of powerful connections by providing insights into the other person, the depths and history of your connection including any shared past lives, and predict probable outcomes for you. 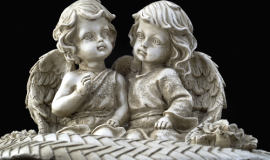 I work closely with your angels and guides during reading to convey their messages to you. As such, my readings tend to reflect their love and positive energy. Even when there's a warning or something for you to be aware of, I usually receive this information in a positive way that you can use to better your life. 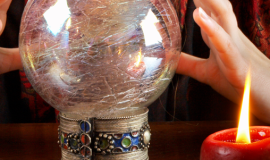 if a psychic has ever given you a reading you didn't like, don't worry, the future is highly change-able! I will help you get a sense of what's coming, get clearer on your desires, and give you advice on how to help the future turn to your favor whenever possible. You were born to live out your heart's desires. The answers and guidance are deep inside of you, and a good intuitive will connect you with them.